Cash for Cars in Tennessee - We Buy Cars Fast! Your car must be from Tennessee, because that's the only ten we see! That’s right, CarBrain is here and we’re ready to buy your car! We know selling a car in The Volunteer State isn't always fun. Why would anyone want to spend their valuable time answering calls and texts from strangers, meeting with them, and then spending hours negotiating over a fair price? If you're selling a less-than-perfect-car it can take a while before it converts into cash. That means your vehicle could depreciate and you're going to potentially waste time, or even miss out on a great offer. CarBrain has developed a quick and easy way to sell your car online and get some cash in your pocket. Through our interactive price engine, we can make an offer on most make and models in just 90 seconds! See for yourself - simply click here to get started today! CarBrain has over 30 years of experience in the car business. We have used our knowledge to develop a cutting-edge pricing system that's prepared to make an offer on most makes and models in just 90 seconds! With tow partners all across Tennessee, we can pick up your car near Nashville, Memphis, Knoxville, and most other areas of the state. We will deliver the payment when we tow your car for FREE, just 24 to 48 hours from when we settle on a price. Our process is quick and easy! Get started today - just click here. 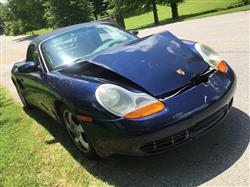 Selling a car in Tennessee is tougher than expected. Getting the right price for your car will always be the biggest issue. Buyers will come at you from all different angles, all with the same goal. They want to take the car off your hands and pay you the least possible amount. Posting your car on the local classifieds means you'll be contacted by strangers all hours of the day. You’ll find yourself answering calls and texts to answer every little common question. You have to meet with these strangers and show them the car. That’s all before the haggling games they're going to play. 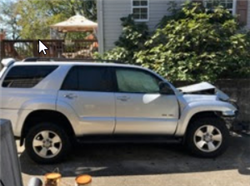 “I have someone else selling me the same car for $1000 less” - they’ll say anything to you, just to get you to drop your price. Don't fall for these negotiation tactics. Small and large dealers have no interest in buying your car. More than likely, the only way they will buy your car is if you are buying a car from them. When you do a trade-in, you need to be very cautious. Dealers are known to be magicians with numbers. They will make it seem like you’re getting the deal of the century when in reality all the extra money you got for your old car was just hidden somewhere else on the deal. Junk and scrap yards are in the market to buy cars for their metal value. They don't care if your car has the top end audio system and leather seats. They will give you least amount possible for your car. Sell your car to CarBrain, the smart way to sell your car! With thousands of cars previously purchased by us, we are prepared to make you a quick and fair cash offer. We have used our experience in the car business to design a highly sophisticated pricing system that can make an offer on most makes and models in just 90 seconds! 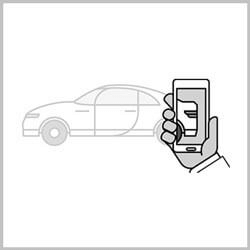 Simply gather a few accurate details about your vehicle and submit them through our easy step-by-step process. If you like the offer then we can deliver the payment and tow your car for FREE! It can all happen within just 24 to 48 hours! See why thousands have gone with CarBrain - just click here. Before selling a vehicle, there area few critical details you want to make sure of. 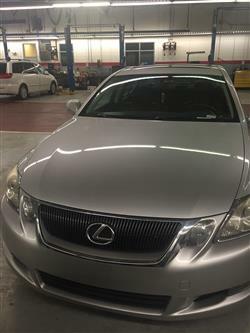 In order to get the best offer when you sell you want to make sure your car isn't taken apart. That means that all the original parts are still on the car. We know that bumpers, lights, and other parts can fly off after an accident. That's okay - the buyer will evaluate the vehicle how it is. But to prevent any further depreciation, leave the car how it is. Items like the wheels, battery, and radio should always stay with the car. Items like aftermarket all-weather carpets, decorative ornaments, or personal items like phone chargers can be removed and it won't affect your offer. Keeping the vehicle intact is important to sell your car, but equally as important is making sure that you have a key for your car. A car without a key can bring up red flags to anyone buying the car. The first main issue is the buyer isn't able to start the car or at least try to crank it over to see if it has starting issues. The buyer has no way of locking and unlocking the car which is a security concern, and on some cars the keys can cost hundreds of dollars. If you don't have a key for your car then your offer could be heavily affected by it. If a buyer has made you an offer and you're ready to move forward, you want to make sure that you have all the proper documentation. If you're missing the paperwork for the car, it could take weeks or even more than a month before you receive it. In that time, the buyer could lower or even withdraw the offer. In the state of Tennessee, to sell your car all you need is a clear title and a valid form of ID. To get started today, it's quick and simple. Click here to submit your car and get an offer! Who Will Buy My Car Fast? At the pace that cars depreciate, it’s important that you sell your car in a timely manner to avoid losing money. Here at CarBrain, we know that the competition does nothing but waste your time and do very little to make this process convenient for you. We have made the process to sell your car simple and fast. We have simplified the process down to 3 easy steps. You give us the details, we give you an offer, and we pick up the car for free! Most cars get an offer in just 90 seconds. 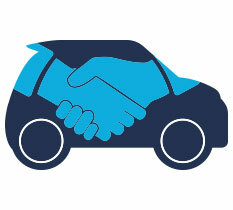 Using our 30 years of car buying experience, CarBrain designed a new, smarter way to sell your car. We know the ins and outs of the car business, particularly for damaged and unwanted cars. Most competitors have not changed with time. We’re here to provide you with a smooth and hassle-free process that could be done from the comfort of your home. Don't waste your time dealing with local buyers. Our process is quick and easy. 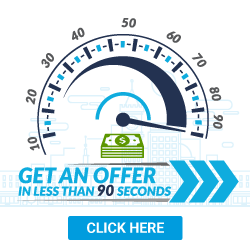 Most cars get an offer in just 90 seconds! See for yourself - click here to get started today. We will tow your vehicle for free to any of our Tennessee locations. What should you know before selling to a junkyard or private buyers in Tennessee?